What do Wiltshire and Liverpool have in common? 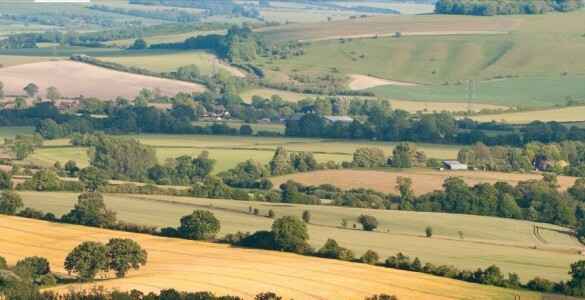 Wiltshire brings to mind Salisbury Cathedral, Stonehenge and beautiful rolling countryside. With Liverpool, we tend to think of a vibrant commercial centre, at the heart of the UK’s industrial past and present. When deciding national priorities and putting in place national programmes to help industry thrive, how do we go about doing that in such very different places? And, of course, it’s not just Wiltshire and Liverpool. Every region of the UK has a diverse set of opportunities and challenges. Which industrial sectors are currently thriving or in decline? What kind of skills bases do they have? What is the education provision like in the area? How good are the existing transort and communications infrastructures? In 2011 the UK Government invited local authorities and businesses to set up Local Enterprise Partnerships (LEPs), and gave them a remit to decide the investment priorities that will best support local business. IfM ECS has been working with two of them: Swindon and Wiltshire LEP and the Liverpool City Region LEP. The aim of both projects was to help the respective LEPs develop their own vision for high value manufacturing in their regions, and to do so in a way that supports national initiatives. In each case, they started by getting a clear picture of where they sit in both the global and national industrial 'landscape', and how competitive they are – particularly in those sectors designated as national priorities. This picture underpinned the next part of the process: idendifying their most promising opportunities for growth and creating development plans to capitalise on those opportunities. One of the reasons it made good sense for IfM ECS to help these two LEPs with this task, is that in 2012 IfM and IfM ECS produced a report for the Technology Strategy Board (now Innovate UK) on the growth of high value manufacturing in the UK. A landscape for the future of UK manufacturing looked at the global manufacturing context in which UK companies were then competing and identified those high value sectors in which the UK could become an important player over the next 15 to 20 years. The report was instrumental in establishing the Government’s catapult strategy which to date has resulted in the creation of seven ‘catapults’ – or technology and innovation centres – in areas such as process innovation, manufacturing technology and composites. The aim of the catapults is to bring together businesses with publicly-funded science and engineering to help bridge that tricky gap between early innovation and industrial-scale manufacturing. IfM and IfM ECS are currently working on a new version of the report, which refines the approach to take account of what has been happening globally and nationally in the last three years, in this very fastmoving environment. In its work with LEPs, IfM ECS was ideally placed to use the ‘HVM framework’ the IfM had helped develop for Innovate UK to understand the national picture. This framework is based around a classification of industrial capabilities or the ability to deliver products – and services – which meet customer needs, are competitive and can respond to opportunities. These are matched with a set of key 'national competences' – in other words, things we are good at and which allow us to respond to changing global trends and drivers in a way that captures value. Using a common framework is clearly important if the LEPs’ plans and priorities are to support national ones, and if the regions are to take advantage of any national funding opportunities. Swindon and Wiltshire LEP faces a number of challenges in developing a thriving high value manufacturing sector. On the plus side, it has a flourishing base of small and medium-sized companies with a good track record of innovation. There is also a strong military presence in the area, including the Defence Science and Technology Laboratory at Porton Down, which could provide promising opportunities for collaboration. But it has a very mixed rural and urban economy which lacks a strong sense of itself as a centre of high value manufacturing. If anything, people can be wary of manufacturing, expressing concerns particularly around environmental impact and sustainability. Andrew Gill, Principal Industrial Fellow at IfM ECS (and lead consultant on the national HVM), worked with the Swindon and Wiltshire LEP to develop a ‘2025 HVM’ vision for the area. To do this they brought together a mix of 35 local businesses and government agencies. By using questionnaires, interviews and structured workshops, Andrew helped them arrive at a vision for the future and an outline plan to achieve it. The vision has a number of key elements: making sure that the area derives maximum benefit from its military presence, supporting small and medium-sized companies and developing technology centres of excellence in biosciences, in renewable energy and sustainable materials and in coatings. Sectors which were seen as presenting particularly promising opportunities included food, biotechnology, aerospace, automotive, energy and the digital economy. Having the right skills and capabilities is clearly vital, so the project also makes recommendations for education provision. It also encourages companies to get better at telling schools and colleges both what they need their prospective employees to know – particularly in regard to the STEM (Science, Technology, Engineering and Mathematics) subjects – and what opportunities they have to offer. The Liverpool City Region provides something of a contrast to Swindon and Wiltshire. Home to companies such as Jaguar Land Rover, Unilever and Cammell Laird, it has a proud tradition of manufacturing. There are more than 3,000 manufacturing companies inthe region, providing jobs for more than 50,000 people. As well as the household names there are plenty of smaller manufacturers often playing a key part in their larger counterparts’ supply chains. Manufacturing currently generates £3.2bn for the Liverpool City Region economy and the LEP has ambitious plans to maximise its potential to create both jobs and deliver economic growth. But the LEP is also conscious that its manufacturers face considerable challenges, not least from rapidly changing technologies and supply chains, and some, the need to develop more service-based or environmentally sustainable business models. Bill Colquhoun, Principal Industrial Fellow, led this project for IfM ECS, working with the LEP to identify how it could best achieve both long-term competitive advantage and some short-term ‘quick wins’ through its industrial strategy. The ‘Making It’ project, as it was known, brought together Liverpool City Region’s manufacturing community to review and agree their opportunities and priorities. investment through the national manufacturing strategy. An early – and very positive – outcome of the process was that last year the Liverpool City Region successfully bid for a University Enterprise Zone, ‘Sensor City’. For both Swindon and Wiltshire and the Liverpool City Region, areas with very different sets of challenges and aspirations, this common approach to ‘landscaping’ has led to a compelling vision for their respective futures. And the hard work of making it all happen is already under way. 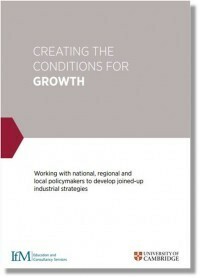 How we can work with policymakers who are supporting national and regional growth in key industry sectors. Read it online here.